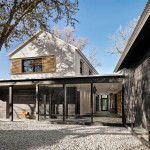 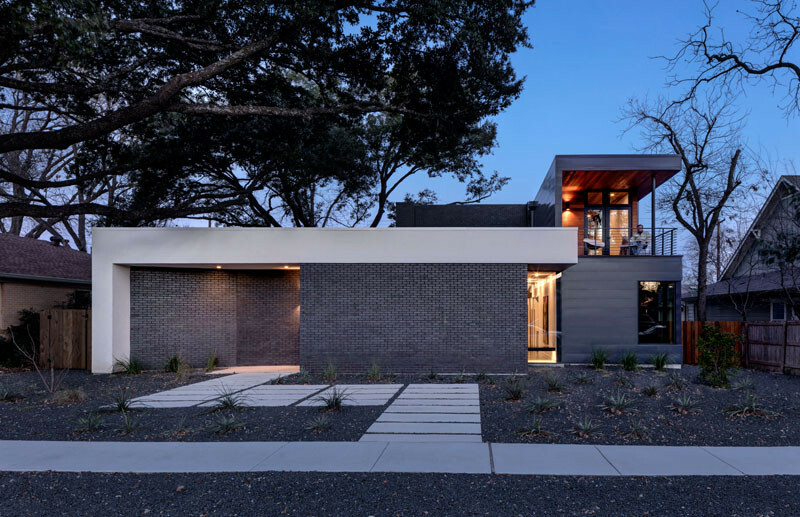 This new home in Austin, Texas, has been designed to enjoy living life, inside and out. 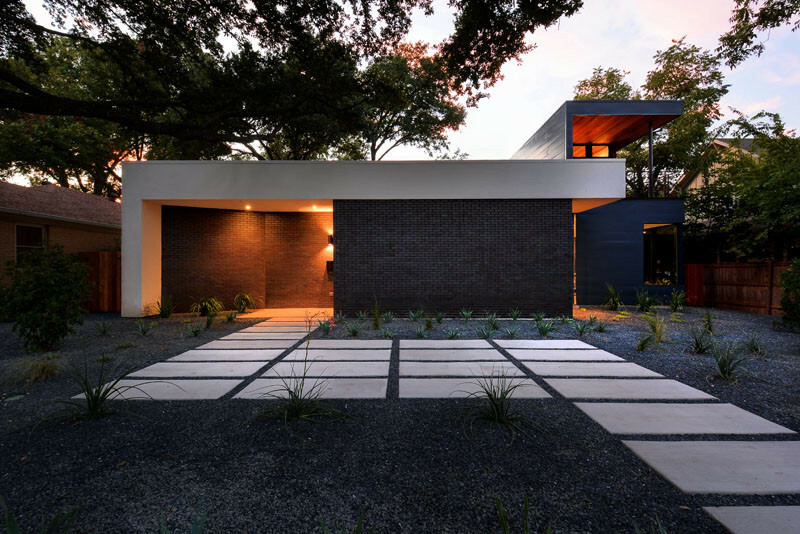 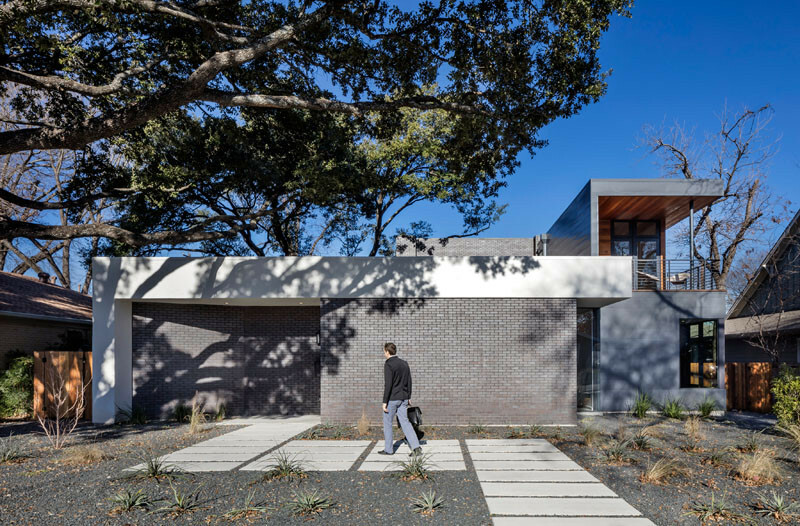 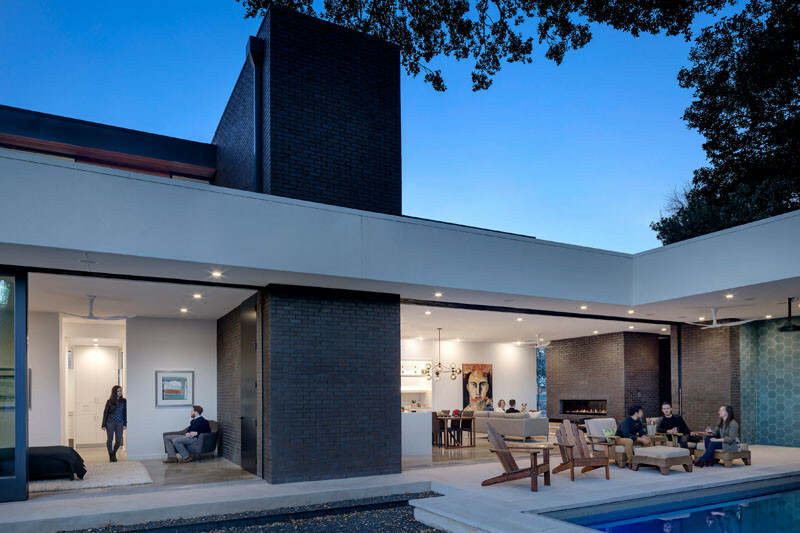 Designed by Matt Fajkus Architecture, this Texas home has a facade that’s a bit different to regular homes, in that the front masonry wall replaces the typical residential fence. 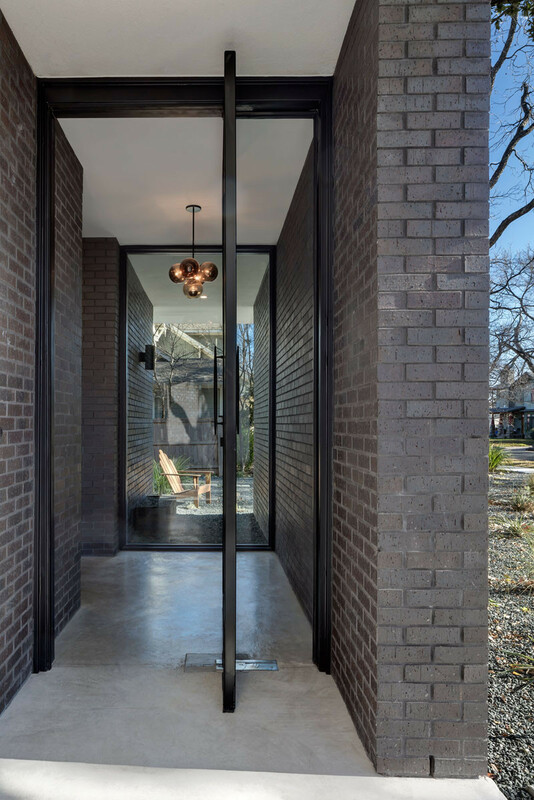 At the same time, the brick wall also frames an indirect access to the front door, functioning as a privacy barrier while revealing slices of the interior to the public street. 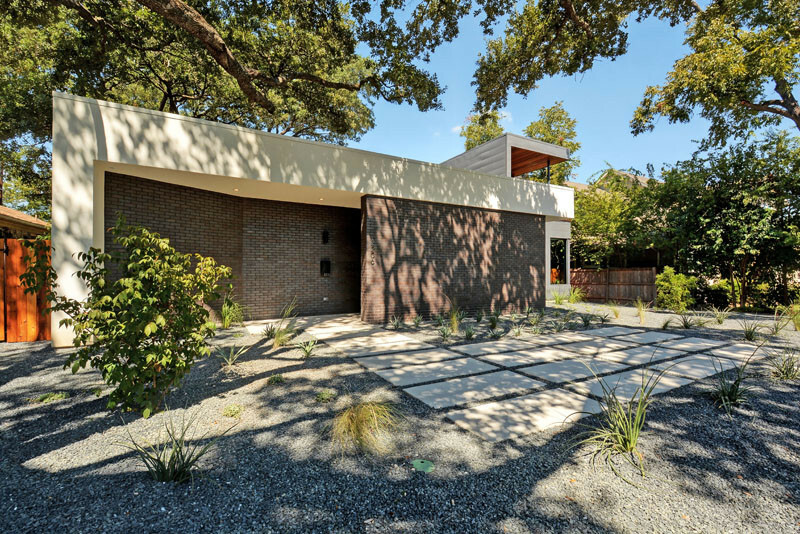 The landscaping has been designed by Open Envelope Studio, with the front yard filled with plants that can grow in the Texas heat. 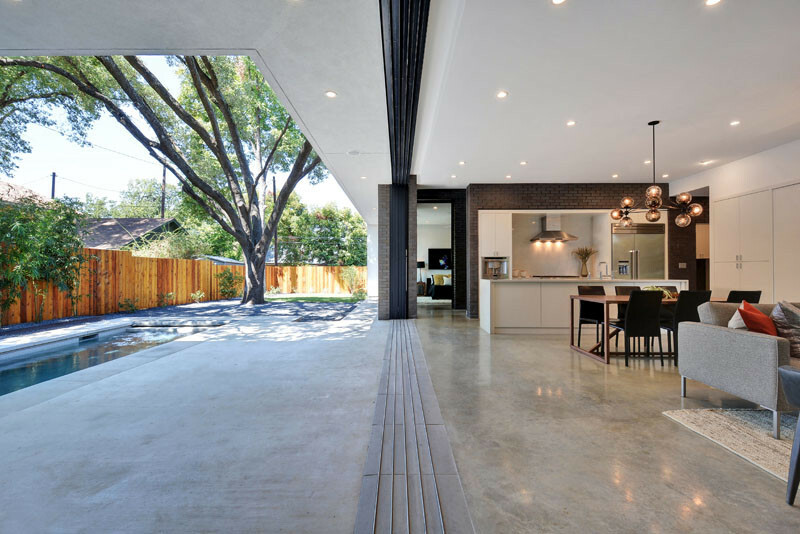 Here’s a glimpse of the interior from the front of the home. 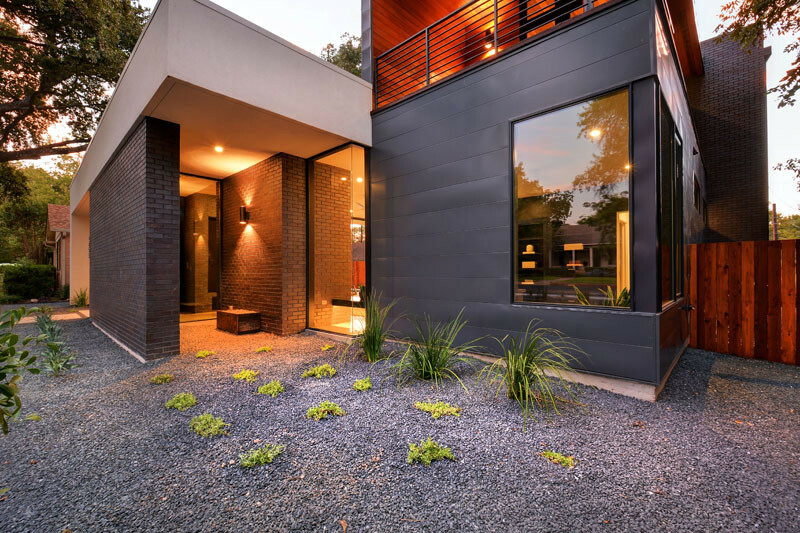 A pivoting door welcomes you to the home. 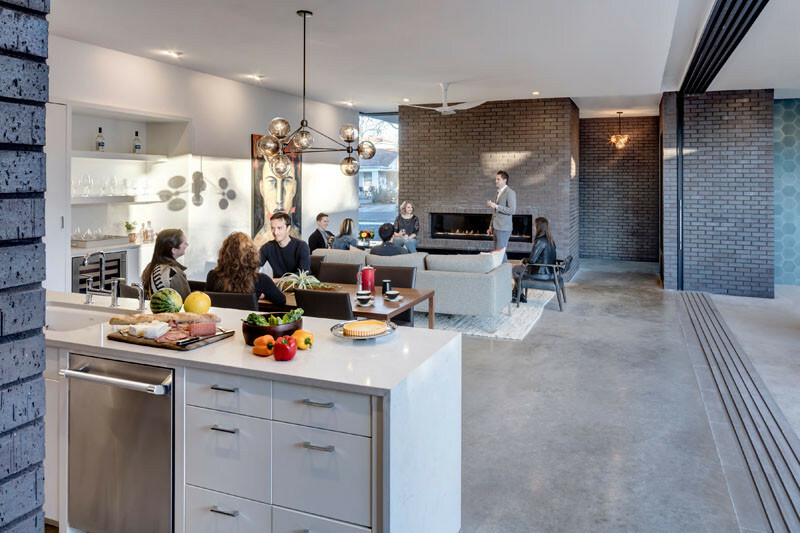 Once inside, there’s an open floor plan, with the kitchen and living room sharing the space. 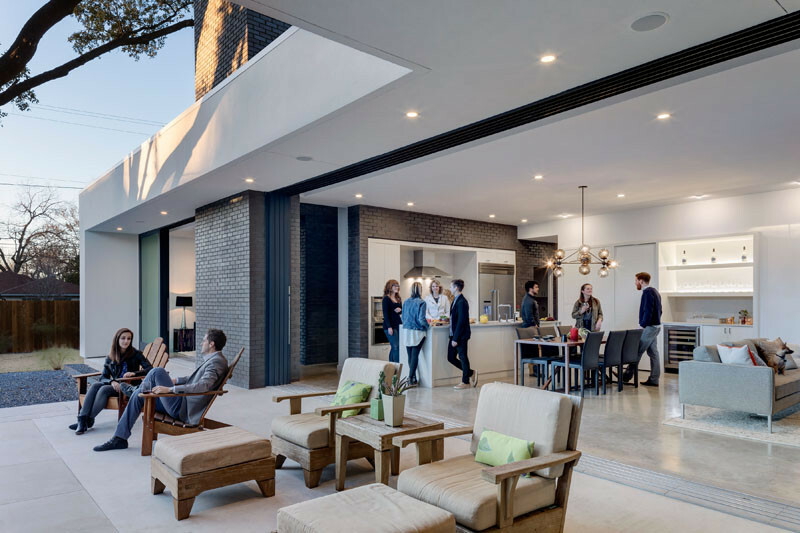 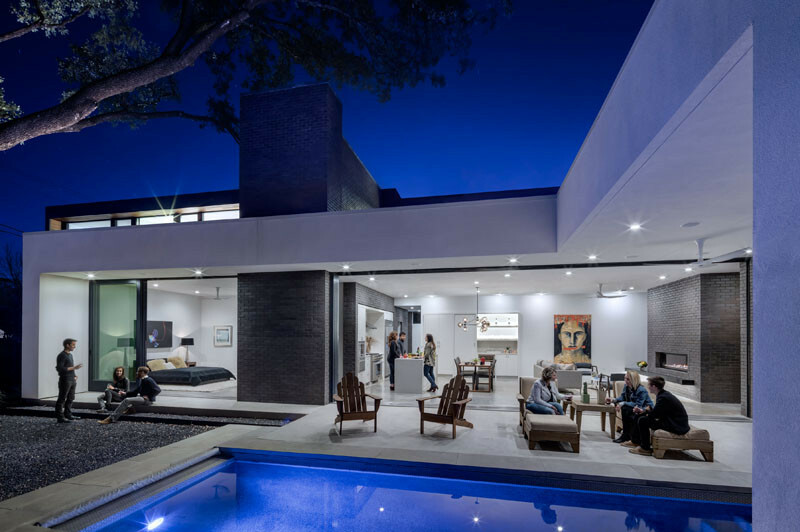 The interiors, designed by Joel Mozersky Design, include a living room focused on the fireplace, a bar area, and a kitchen. 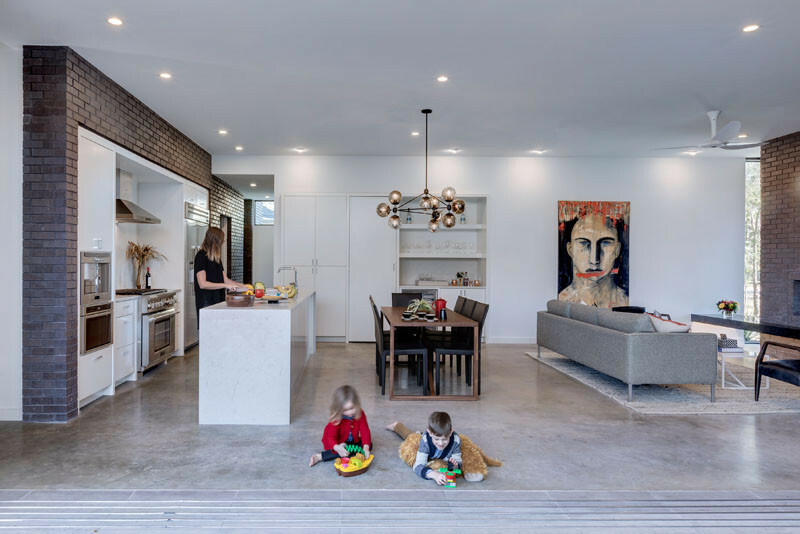 The dining table, with its centrally hung artistic pendant light, provides a separation between the kitchen and living area. 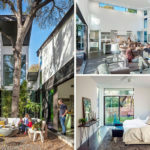 Sliding glass doors open up to almost double the size of the living area. 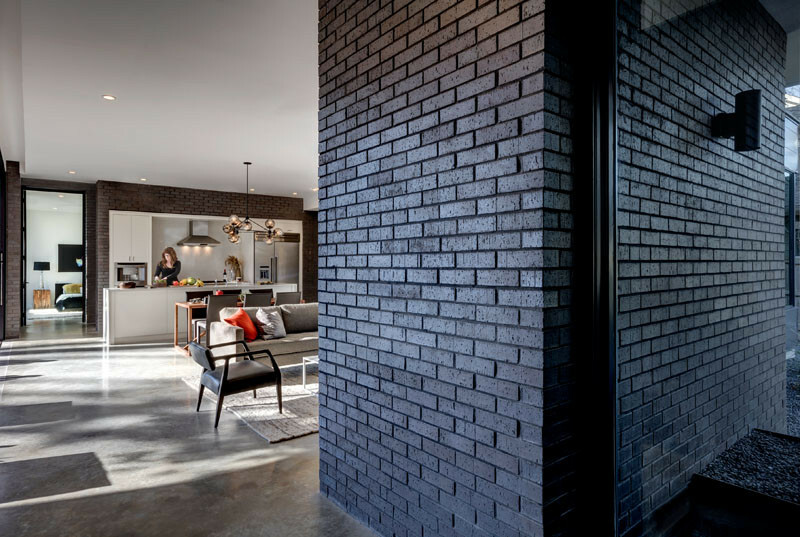 The doors can be opened to allow the bedroom to have access to the backyard. 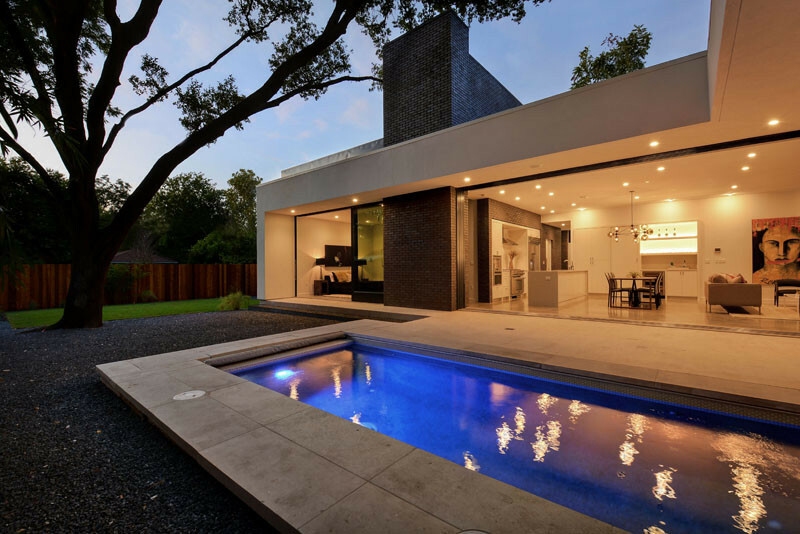 The outdoor patio sits between the pool and the interior of the home. 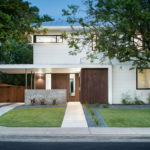 Further landscaping has been completed in the backyard of the home, with a large original tree providing shade.